KUALA LUMPUR, April 15 — Umno acting president Datuk Seri Mohamad Hasan’s win at the recently-concluded Rantau polls earned him moral and political legitimacy. After all, Tok Mat’s (as he is also known) victory was based on popular support that cut across racial and generational lines, analysts said. His convincing victory in the by-election should cast aside any doubt about the former Negri Sembilan mentri besar’s ability to lead a multi-racial coalition like Barisan Nasional (BN) which has struggled to find a moderate leader who can assuage minority distrust, two political analysts said. And in Tok Mat, who conquered virtually all of Rantau’s voting districts to give him a 4,510 majority over Pakatan Harapan’s (PH) Dr S. Streram, BN has a promising prospect. “In Malaysian politics and power relations among competing multi-ethnic parties and interests, being moderate is a vital principle,” Kartini Aboo Talib, political scientist with Universiti Kebangsaan Malaysia, said. 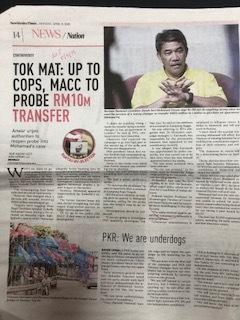 Touted as a genuine moderate by party leaders, Tok Mat is seen as a grounded politician with a keen sense of diplomacy. His sharp understanding of ground sentiment makes him especially endearing to the lower income group, a quality he fostered during his three-term rule as mentri besar. 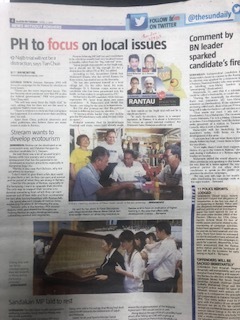 “My team was on the ground observing Rantau and the minority voters really like him a lot,” Kartini noted. In Saturday’s by-election, Tok Mat won all the multi-racial districts bar one, a testament to the politician’s popularity in Rantau, a semi-urban state constituency with predominantly low-income voters. BN swept 13 of the polling districts including Pekan Sagga (63.7 per cent Indians) and Linsum (48.3 per cent Indians) home to the highest and second highest proportion of Indian voters in Rantau. Universiti Sains Malaysia’s Sivamurugan Pandian said the results cemented Mohamad’s stature as a highly popular leader with all races. “As acting president with a big majority, he wins moral and political legitimacy in a mixed constituency,” he told Malay Mail. But still, the ‘Tok Mat factor’ failed to give BN the much-needed impetus to break PH’s sway over most of Rantau’s Chinese voters. Bandar Ekar, which has the highest count of Chinese voters and third highest for Indian voters, remained firmly behind the ruling coalition. Tok Mat’s inability to persuade the Chinese in Rantau provides a peek into the tough challenges awaiting his chairmanship and the BN coalition should it wish to stay on the moderate path, rebuild minority trust and be seen as a genuinely multi-racial front. More immediately, the acting Umno president must first mollify Chinese suspicions of PAS and convince the community that their alliance will not result in more religious dogmatism or ethnic strife. But with Umno deemed to have veered too far to the right in recent years, and its refusal to banish scandal-ridden leaders like former prime minister Datuk Seri Najib Razak, that could be difficult for Tok Mat to pull off despite his popularity. “BN’s moderate image is difficult to be bandied about as far as non-Malays are concerned,” said Oh Ei Sun, a senior fellow at the Singapore Institute of International Affairs. And critics will also watch closely how the acting Umno president deals with the party’s ultra-Malay elements, which have grown more influential since its defeat last year. As analysts see the party growing more beholden to staunch conservatives, detractors will ask if he will have the political courage to keep Umno in the centre amid the pressure. Malay support for Tok Mat surged to 2013 levels in Saturday’s polls, as BN recovered most, if not all of the ground lost in the 14th general election, noted Ibrahim Suffian, director of pollster Merdeka Center. Votes were likely cast along racial lines, Ibrahim added, suggesting non-partisan Malays had backed Tok Mat only because of his ethnicity. “Ethnic voting probably played some role here, aside from Mohamad Hasan’s outsized following among voters there, the results showed PH probably captured only 10 per cent of the Malay voters there,” he said. 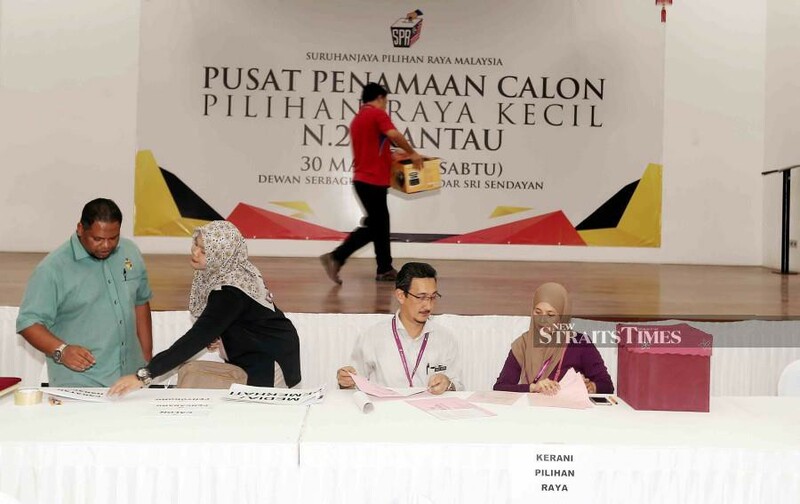 KUALA LUMPUR: According to a Malaysiakini report, a fight erupted among party campaigners at the Pakatan Harapan’s command centre when it was getting clear that Pakatan’s candidate would lose the Rantau by-election on Saturday. The fight followed the blame game as the campaigners were obviously bitterly disappointed with the loss. And obviously also they really believed Dr S Streram could pull it off. But he could not deliver the win that Pakatan needed so that it would not be the third straight loss in a by-election for the ruling coalition. 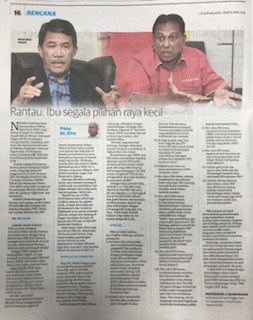 So, was Pakatan and PKR in particular, wrong in choosing the good doctor to contest Rantau, although he had a good track record, having done voluntary relief work in war zones in several parts of the world? No. 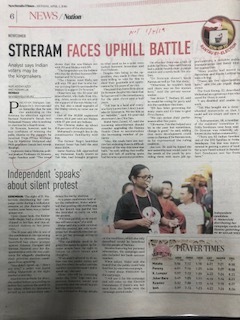 As I wrote in an earlier article, Streram deserved a second bite at the cherry after being denied the chance to contest in the Rantau constituency in the 14th general election (GE14) last year. As we know, Streram was unable to submit his nomination papers after being denied entry into the nomination centre because he did not have a pass issued by the Election Commission. Second question — Would Pakatan have won had another candidate been fielded? Again I must say No. No matter who that candidate might be, and no matter what the race, religion or gender. The reality is Barisan Nasional Nasional’s (BN) Datuk Seri Mohamad Hasan was always going to win the seat. He’s been the Rantau Yang Berhormat from GE11 back in 2004. 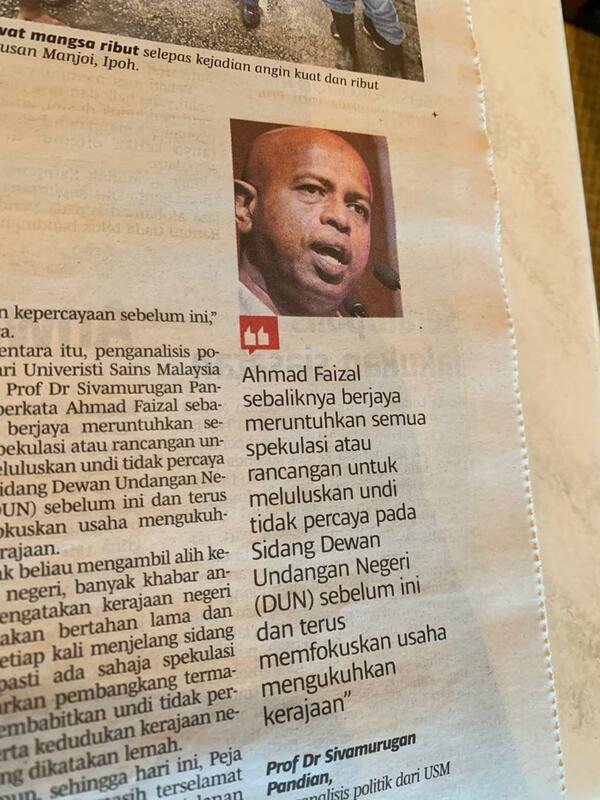 And he was Negeri Sembilan’s menteri besar right up to the point when BN lost the state in last year’s national polls. Therefore his victory was no surprise, but was expected by many. Research outfit Ilham Centre chief executive officer Azlan Zainal and political analyst Dr Sivamurugan Pandian both agree the “Tok Mat factor” — referring to the name Mohamad Hasan is popularly known as — played a big role in BN securing Rantau. Siva says Tok Mat’s aura outshined his opponent while Azlan opines that the personal attacks on Mohamad backfired. During campaigning, Pakatan had often reminded Rantau voters of the case of Mohamad transferring a large amount of money overseas using the services of a money changer and also about a house he is said to own valued at millions of ringgit. Mohamad went to some great lengths to counter the onslaught. He need not have actually, as to most people in Rantau he could do no wrong. The Pakatan strategy was for Streram to win enough Malay votes to add on to very solid Indian support and he would be home and dry. That did not happen, and even the Indian votes were split. According to Azlan, Pakatan was not successful in penetrating the Malay base and did not get the solid Indian support either. Even the Anwar factor, says Azlan, could not help the Pakatan cause in Rantau despite the PKR president trying hard to woo Malays to vote for Steram. To Siva, a lot of soul-searching is in order as Anwar was practically camped in Rantau. Moments after the by-election result was announced, Datuk Seri Anwar Ibrahim responded by saying the defeat “is a reminder for Pakatan to focus on the people’s plight”. In Rantau, the Pakatan focus was on issues that had already been played up during GE14, according to both Siva and Azlan. 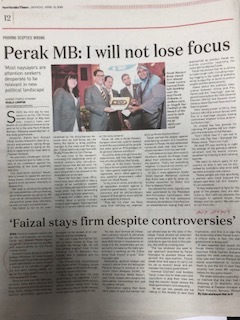 Another factor according to Azlan was that the internal problems within Pakatan have not been resolved. He sees the Pakatan machinery as disjointed with the component parties moving separately, on their own instead of operating as one effective and cohesive unit. Siva describes the Pakatan machinery as weak. Other factors contributing to the defeat, according to Siva, include the ineffectiveness of the state administration and bread-and-butter issues. And of course Umno and Pas have been continuously fanning the “bangsa dan agama” sentiments to the hilt. Divisive as the ploy may be, it has worked thus far for the opposition, with a good number of Malays being taken up by the rhetorics. Having said that, it would be good to note that the number of votes Mohamad won in the by-election as compared to the votes he got in the GE13 in 2013. In Saturday’s by-election he got 10,397 votes while Streram got 5,887. In GE13 Mohamad won Rantau with 10,126 votes. His opponent then was Aisah Lamsah. Aisah, like Streram, was from PKR, and she obtained 5,513 votes. Draw your own conclusions but it looks like BN, in particular Mohamad, and PKR, via two different candidates, did not gain or lose drastically — going by the number of votes. Sort of maintaining the status quo? Azlan has come up with a long list of factors on what went wrong for Pakatan and why. I would say the whys he listed and also the reasons cited by Siva as the cause of the Pakatan’s loss are identical to the reasons they cited when Pakatan lost the Cameron Highlands and Semenyih by-elections. These are the same reasons I had discussed in my earlier articles on Pakatan’s losses in Cameron Highlands and Semenyih, apart from the Tok Mat factor as stated earlier. 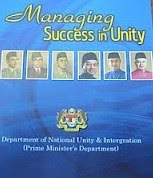 I am sure Pakatan too through its think tanks and strategic analysts knows all too well the reasons for their defeats. After all after each defeat they admitted it was a wake-up call. Hence I can only conclude that either Pakatan has not learned its lessons or they have learned them but are sluggish and have not acted upon the lessons learnt, that is to rectify the situation and overcome the weaknesses — until now. And I say this, despite acknowledging the fact that Pakatan has a lot on their plate, to clear the leftovers — courtesy of the previous administration. 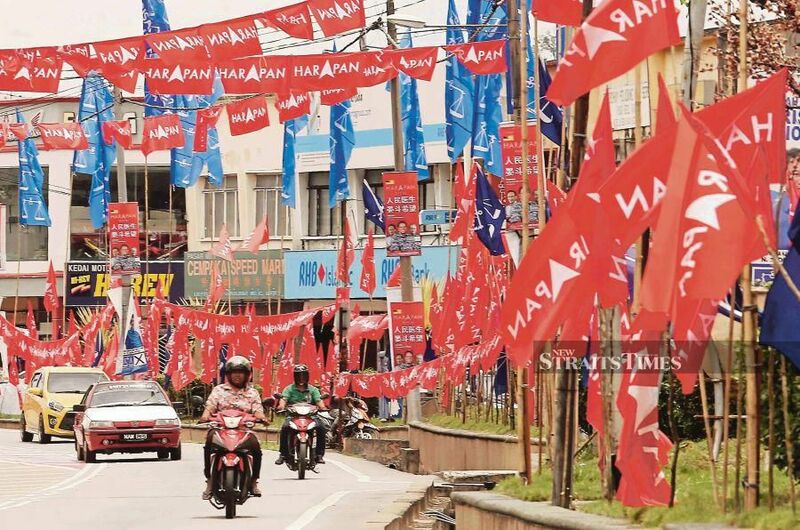 SEREMBAN: With 10 days to go before polling day, the Rantau by-election is shaping up to be a battle between two political heavyweights — Barisan Nasional’s Datuk Seri Mohamad Hasan and Datuk Seri Anwar Ibrahim of Pakatan Harapan. PKR’s Dr S. Streram may be contesting under the PH ticket, but it is clear that it is Anwar, not Dr Streram, who Mohamad has to be wary of. The Anwar factor is playing an increasingly important role in this polls, which neither the BN deputy chairman nor the PKR president could afford to lose. Dr Streram’s hustings, or ceramah kelompok as the PH election machinery calls them, had been low-key affairs that attract small groups of constituents. 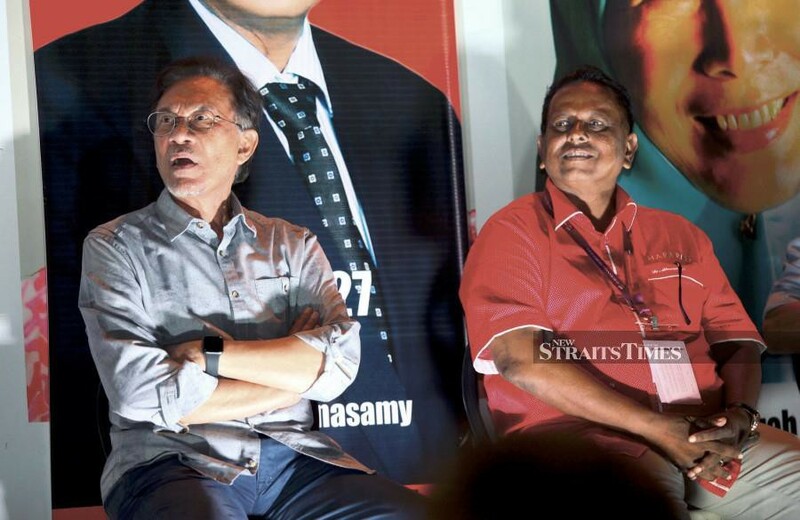 But Anwar, who hit the campaign trail and stumped on behalf of Dr Streram for the first time on Tuesday, held three ceramah in one night and drew larger crowds of between 300 and 400 people. In all three ceramah, Anwar spent a substantial amount of time explaining why he fielded Dr Streram, instead of a Malay, in the by-election, which is being held in a Malay-majority seat. Dr Streram’s candidacy had not been well received by certain factions in PKR, who attributed BN’s recent electoral victories to Umno’s cooperation with Pas and the proliferation of Malay-Muslim sentiments. by promoting Dr Streram’s humanitarian work in war-torn Muslim countries, like Sudan and Afghanistan. But Dr Streram’s volunteerism will unlikely have any pull with the voters, who are mostly estate workers, working odd jobs and running small businesses. To them, it is bread-and-butter issues and the rising cost of living that matter the most. 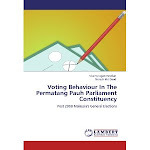 In Rantau, Malays comprise 55.11 per cent, or 11,283 voters, Indians (5,336 voters) make up 26 per cent, Chinese (3,849 voters) make up 18.8 per cent and the remainder is made up of other races. The fact that Anwar is Port Dickson member of parliament explains his strong presence in Rantau, which is adjacent to his parliamentary constituency. He went as far as promising that development projects in Port Dickson would have a spillover effect in Rantau, especially if Dr Streram won the polls. “This is not a conditional promise. But I hope Dr Streram wins because at least I have someone I can work with,” Anwar said during a ceramah in Taman Sri Ramai here. PKR has won three by-elections it contested since the 14th General Election (Seri Setia, Sungai Kandis and Port Dickson), but this is the party’s first by-election with Anwar at the helm. PH, however, lost the last two polls in Cameron Highlands and Semenyih, and Anwar is facing mounting pressure not only to secure a win for the pact, but also break BN’s momentum from notching up a third win in a row. “This will be Anwar’s first real test as the president of PKR. Mohamad is widely admired and hopes are pinned on him to rebuild Umno and BN in the aftermath of the 14th General Election,” said political analyst Professor Dr Sivamurugan Pandian of Universiti Sains Malaysia. A win against the acting Umno president, said Sivamurugan, would elevate Dr Streram’s status as a giant killer and give credence to Anwar’s legitimacy as the prime minister-in-waiting. 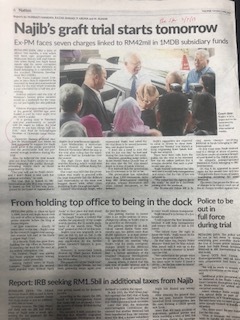 “This is a clash between the prospective eighth prime minister and BN’s potential prime minister-designate. As Anwar’s nemesis, Mohamad may use the result of this election as a yardstick to determine whether it’s viable to aim for the premiership,” he added. The by-election is no longer simply a contest between BN and PH. Rather, it is a clash between two powerhouses, between two household personalities whose brands transcend party lines. The by-election sees a four-cornered fight between Dr Streram, Mohamad and two independents, R. Malarvizhi and Mohd Nor Yassin. Election commission personnel making last preparations for the nomination day. NSTP/SAIFULLIZAN TAMADI. RANTAU: Today is nomination day for the Rantau by-election, which will likely see a straight fight between Pakatan Harapan and Barisan Nasional. Representing PH is PKR’s Dr S. Streram, the 60-year-old anaesthetist who grabbed headlines after he was denied entry into the nomination centre in the 14th General Election last year. This led to acting Umno president and three-term Rantau assemblyman Datuk Seri Mohamad Hasan winning the seat uncontested, but the result was later nullified by the Election Court. 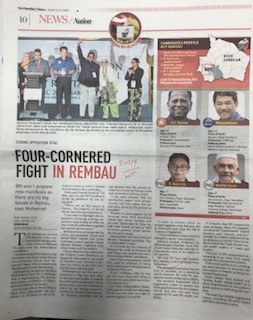 However, despite having a second shot at contesting, Dr Streram, who is Rembau PKR deputy chief, will face an uphill battle as the underdog in this David and Goliath contest. 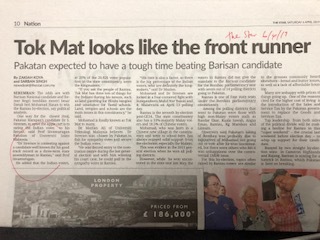 Mohamad, or Tok Mat as he is fondly known, is tipped to score a comfortable win. He is a household name on his home turf, an impregnable fortress that has remained under BN since 1964. PH currently controls 20 of the 36 seats in the Negri Sembilan assembly, and a win for either party will not affect the status quo. However, victory in this semi-urban, Malay-majority state seat could prove pivotal for both sides. BN is looking to score a trifecta win to consolidate its political legitimacy, while PH is keen to take down the head honcho of BN, who is credited with salvaging the alliance between Umno, MCA and MIC. 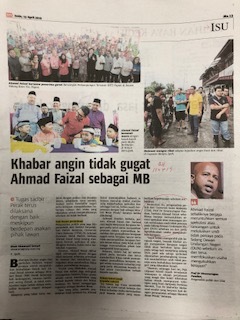 Mohamad, a businessman-turned-politician who served as Negri Sembilan mentri besar from 2004 until May last year, can ill afford a loss in Rantau. In the event of a win, Umno’s succession plan will stay on course and Mohamad will be in pole position to become the next party president, replacing Datuk Seri Dr Ahmad Zahid Hamidi. Universiti Sains Malaysia political analyst Professor Dr P. Sivamurugan said: “Tok Mat must continue the Cameron Highlands and Semenyih momentum, beside strengthening his position as Umno deputy president and acting president. While some claim PH stands a better chance of winning by fielding a Malay candidate, its current strategy could pay off if a relative lightweight like Dr Streram manages to notch up a win against Tok Mat. “PH, especially PKR, wants to avoid the prospect of three consecutive losses to BN. “It is the first real test for Datuk Seri Anwar Ibrahim as PKR president,” said Sivamurugan. Anwar, who recently won the Port Dickson parliamentary by-election, is hoping voters will reject any manipulation of racial sentiments in Rantau, especially after the “marriage” between Umno and Pas. Dr Streram was picked by Anwar and PKR based on his work background and contributions as a volunteer doctor in war-torn Muslim countries. But it is unclear whether Dr Streram’s tour of duty with Doctors Without Borders in Afghanistan and Sudan will translate into votes. The one advantage Dr Streram has over his opponent is the backing and support he will receive from the PH-led state and the federal government. Anwar will likely hit the campaign trail and stump for his candidate. A win in Rantau will not only be symbolic for the prime minister-in-waiting, but also bear testament to his leadership. Regardless, observers say Dr Streram deserves a second chance as he took the initiative to challenge Mohamad’s uncontested win in court. And Sivamurugan says Dr Streram may canvass support and “fish for sympathy votes” from the Indian community, who he dubs as the kingmaker in this polls. Out of the 20,472 registered voters, 53 per cent are Malays while 27 per cent are Indians. The Chinese make up about 18 per cent of the electorate.